Is Your Student’s Vehicle Ready for Back to School? Vote us for Best of the Northwest! Just a reminder that now is the time for vote for The Best of The Northwest! We are hoping to be considered for the category of BEST MECHANIC. Go here and vote! Thank you so much for your support. I Heard About a Scary Automotive Recall, Does it Affect Me? Summer weather is heating up! Make sure your vehicle is ready to keep you and your family cool. Schedule an appointment to have your vehicle’s air conditioner serviced or repaired during the month of July and receive 10% off! Air conditioning services start at just $99! Call us today at (360) 676-5200 or click here to schedule an appointment today. Summer weather is officially here and it’s HOT! Come into Bellingham Automotive and take advantage of our Summer AC Special! Air conditioning services start at just $99. Call our shop at (360) 676-5200 or visit our website to schedule an appointment. Don’t miss out on this chance to stay cool this summer! Warm weather is in the forecast! 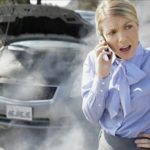 Do you know what to do if your car overheats?